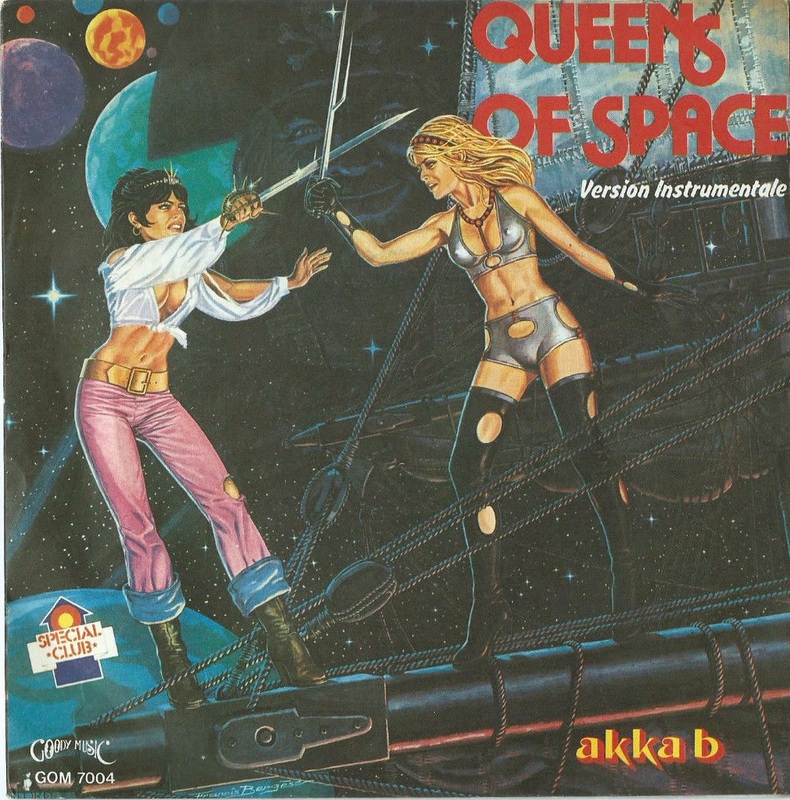 I here present the Italian release of a French space disco single (sung in English) representing the entire musical output of one Akka B, which is really not all that surprising, though still kind of a shame. With lyrics or without? Cover artist is Francis Bergèse.